Dar Si Hmad is doing exactly that in the Bled, the Moroccan countryside. Our flagship fog harvesting project ensures that villages in the Aït Baamrane region have constant access to potable water. To ensure that the fog project achieves maximum potential, Dar Si Hmad engages our partner communities in a variety of environmental and economic capacity-building projects. In the villages, these have included WASH (water for sanitation and hygiene) workshops and the exploration of women’s argan cooperatives. Dar Si Hmad also works with the Provincial Delegation of the Ministry of Education in Sidi Ifni to include the villages’ young residents in the fog project. Quality education from an early age is a vital step in empowerment, development, and building health communities. Unfortunately, communities in southwestern Morocco are challenged by poor educational systems and limited natural resources. Given the low quality of rural schools, they are not generally regarded as valuable. Children in the villages lack opportunities to learn by doing, develop communication skills, meet new people, interact with each other, and encounter diverse topics. The Aït Baamrane region is an ecologically fragile zone. Eroded topsoil and increasing drought cycles limit potable water’s availability. While the fog project is successfully tackling this last problem, overlapping educational, environmental, and economic marginalisation further burden already vulnerable communities. 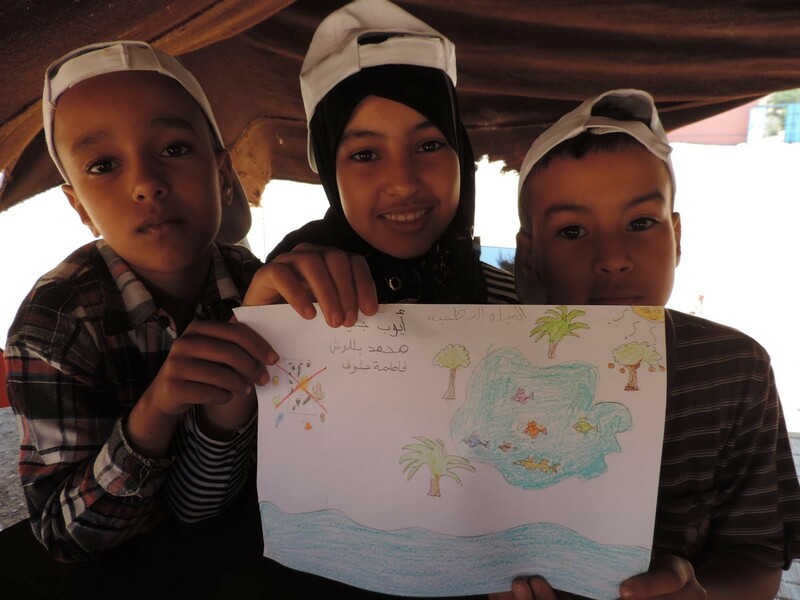 Dar Si Hmad’s Mobile Water School combats these challenges and empowers Aït Baamrane’s next generation through custom-created hands-on, locally relevant curriculum. The Water School explores water, sustainability, conservation, and environmental challenges to engage children aged 7-13 in the rural villages in experiential, life-changing learning. Activities combine art, engineering, science, and mathematics to learn about the societal and natural realities of the world, expanding young people’s capacities for and understandings of global change. Through the Mobile Water School, children learn how to employ scientific lenses to investigate the natural world. They also investigate themselves, claiming personal and community responsibility for sustainable environmental and social change. The curriculum builds children’s employability skills from an early age, emphasising public speaking, self-confidence, leadership, and team building. The Mobile Water School places a particular emphasis on science, technology, engineering, and mathematics (STEM) education for girls. Sexist stereotypes across the world discourage women from working in STEM fields. These messages start very early. Dar Si Hmad’s Water School consciously pushes against them, working with girls before they have internalized the message that they cannot be just as good at engineering as boys. 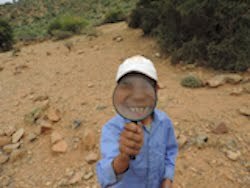 Through the Water School, young Berber girls learn how to operate a microscope, identify different species of insect and plant, and communicate the hydro cycle. During the Water School, children of both genders deconstruct sexism by building bridges…both physical and emotional. Building model bridges and relationships together helps the children learn to value everyone’s perspectives, skills, and experiences, regardless of their gender. Being taught by instructors from a variety of religions, genders, ethnicities, and disciplinary backgrounds provides students with powerful role models and assures them they can do whatever they want to with their lives. This year's 16 Days of Activism Against Gender-Based Violence Campaign focuses on education - a fundamental human right recognized in Article 26 of the 1948 Universal Declaration of Human Rights and many international treaties. But it is a right that is too frequently not accomplished in reality, especially for girls. Providing equal opportunities for young people of all genders and backgrounds is vital to breaking the sexist assumptions that prop up unjust systems and create space where violence against women can occur. Dar Si Hmad’s Water School uses the environment as an avenue for economic and educational empowerment. Community learning and emphasizing STEM for girls improves children’s lives both materially and metaphysically, builds community resilience, and enhances global sustainability. Dar Si Hmad would love to partner with you on this important project. By supporting the Mobile Water School, you give a young Berber child the chance to explore her world and learn how she can make it a better place. Please consider joining us. 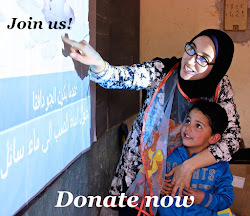 For more information and to donate, visit http://www.darsihmad.org/water-school/.